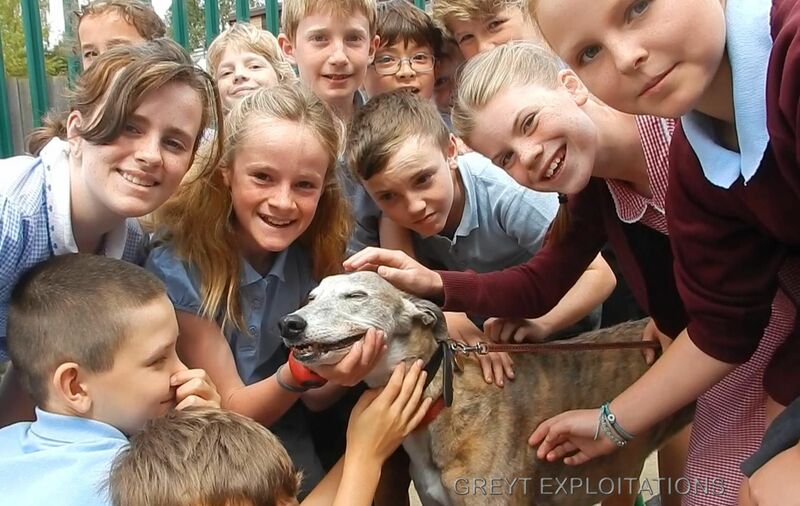 In late March Greyt Exploitations were approached by a Charlton Kings Junior School teacher to do a school talk on greyhound racing as part of a ‘persuasive writing’ project for year 5 students whose ages ranged from between 9 and 10 years old. 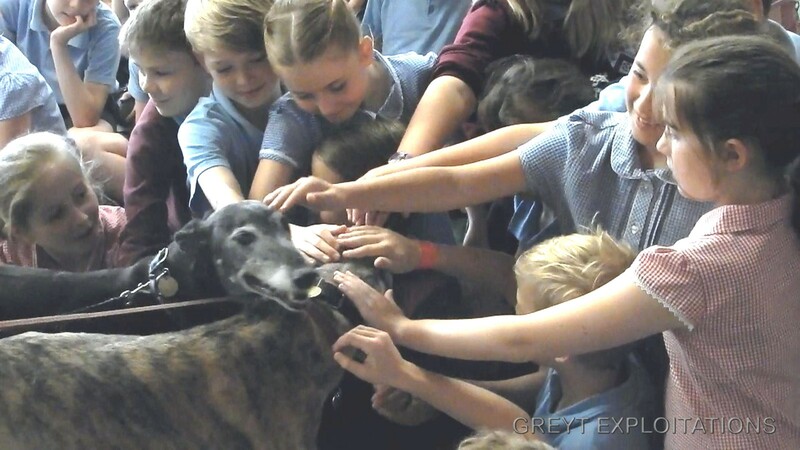 GREY2K USA generously donated 80 Activity Kits and wristbands from their Education Fund and advocate Fiona Bennett-Heritage was more than happy to bring along her greyhounds Rosie and Amber to meet the children and talk about greyhounds as companion animals. The event was spread over two weeks and included class work on the history of the greyhound as a breed – greyhound racing from both the industry’s and Greyt Exploitations’ websites and greyhound rescue. The children were then set a task to write a persuasive piece – using specific techniques – as to whether they agreed or disagreed with greyhound racing. 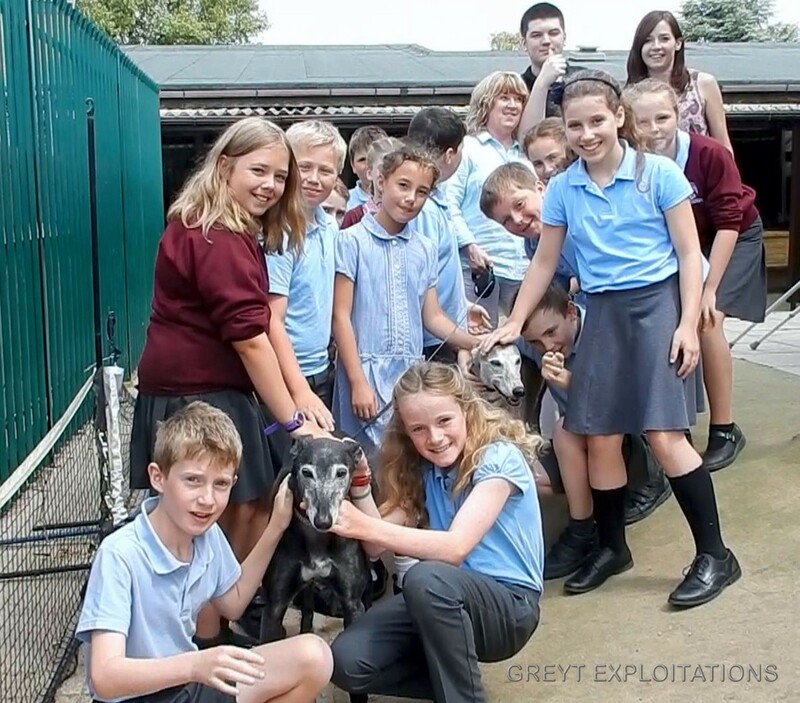 The project climaxed with an eagerly awaited visit from Rosie and Amber who gave free hound hugs to over a hundred children and staff while stealing their hearts. The children – although feverishly excited – were impeccably behaved and an absolute credit to the school. 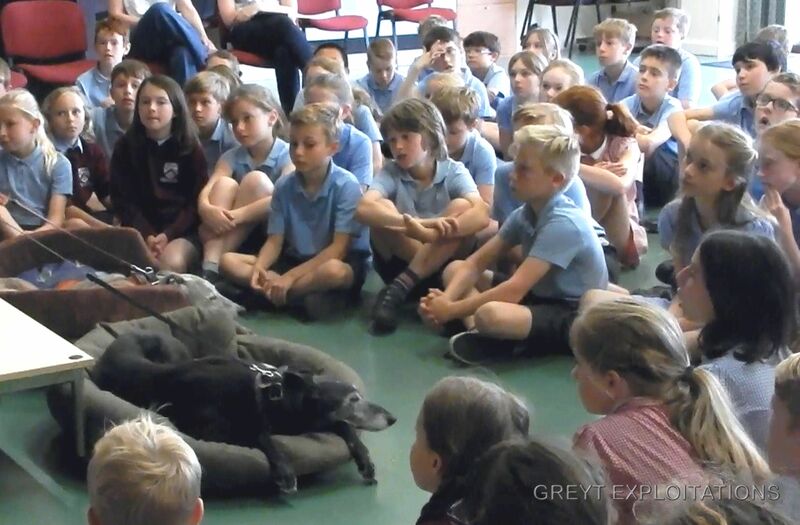 Fiona instinctively connected with the children – passionately speaking about greyhound guardianship and her son Zachary who is autistic also told of how he overcame his fear of dogs with the love and help of a greyhound. 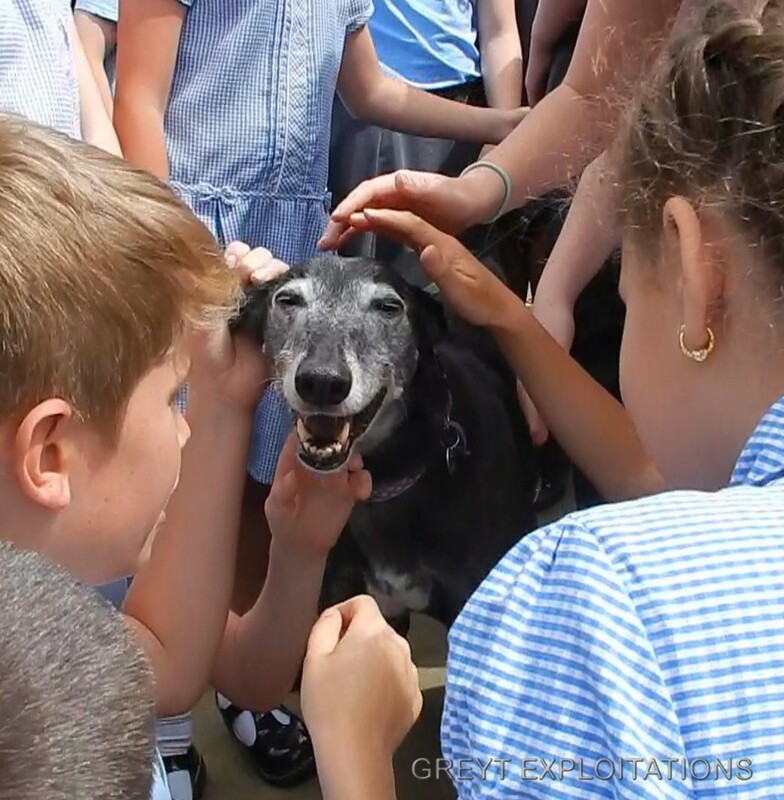 We would like to thank all the staff at Charlton Kings Junior School for inviting us to help organise this important awareness event that encourages children to show compassion for the greyhounds. If you are interested in holding a ‘Compassion towards Greyhounds Event’ in your area – please email info@greytexploitations.com – where we will help organise an event specific to you and your group’s needs.